With the consistent use of a few exceptional products, you can achieve a healthier more vibrant skin. Suitable for all skin types. Especially useful for reducing any red in the skin. Calming black tea blended with seaweed extract make this a perfect protecting facial rinse. Instantly calming and soothing, it will reduce redness, strengthen the skin and provide an anti- oxidant base to protect and balance the skin. For optimum results, apply underneath moisturizer or alone for hydration and protection. Suitable for a more combination/oily type skin type. 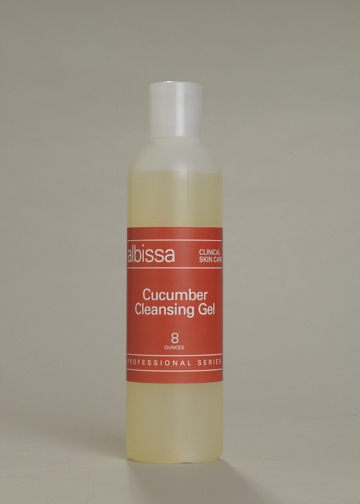 A soap free blend of cucumber is blended with citrus extracts that foams away impurities without leaving the skin feeling tight or dry. Silk amino acids and other humectants leave the skin smooth and moistened. Suitable for a combination/dry skin type that has lots of blackheads and tends to get dehydrated easily. Helps control conditions like Rosacea and Dermatitis by provide a deeper cleaning without stripping the skin and subsequently irritating it. It lifts impurities without foaming ingredients that tend to dry skin. Followed by a toner, skin will be perfectly clean and balanced. A unique combination of marine extracts, algae, and crushed oyster shells encourages the skin to reverse the effects of photoaging and reduces the signs of collagen degradation. Three forms of vitamin A in a microparticle delivery system enhance skin texture through exfoliation and skin regeneration. The combination of alpha hydroxy and beta hydroxy will exfoliate deep in the follicle loosening the blackhead plug that are the precursors to a pustules. Therefore regular use of this product will help prevent breakouts. A light-weight lotion for protecting and smoothing skin. Glycolic Acid delivers Vitamin A to smooth irregular surfaces. Vitamin E provides protection against free radical damage, and Sodium PCA hydrates and softens. Suitable for normal and combination skin type.